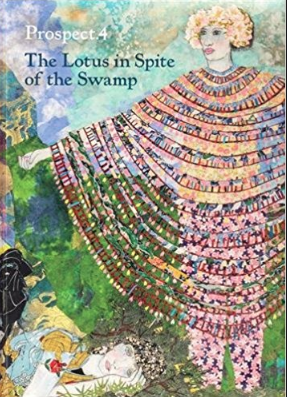 The catalogue accompanies the exhibition Prospect 4: The Lotus in Spite of the Swamp, organized by Prospect New Orleans and presented throughout the city during the Prospect New Orleans triennial from November 2017 to February 2018. The catalogue includes contributions by the artistic director Trevor Schoonmaker, William Cordova, Miranda Lash, Wangechi Mutu, David Brooks and an essay on video and installation works by Penny Siopis, who contributed a new video work Welcome Visitors! (2017) and site specific installation World of Zulu (2017) to the triennial.